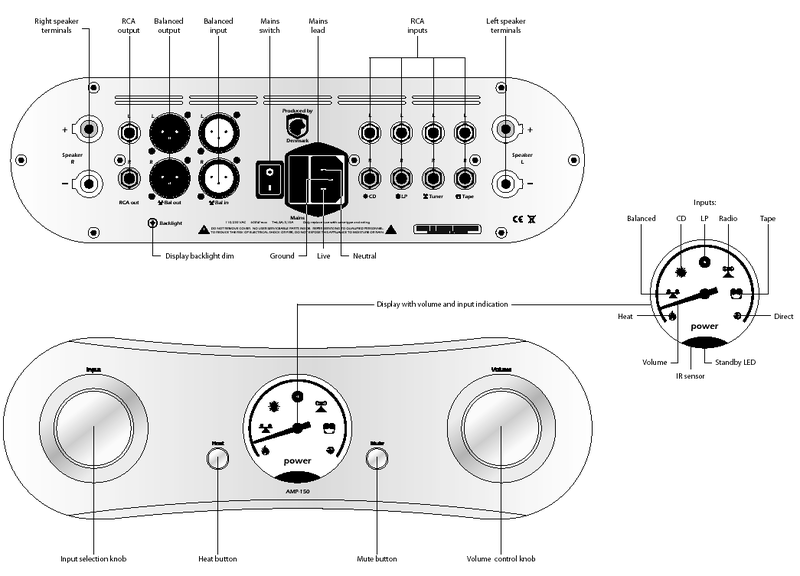 As we read in his company materials, the latest speakers from Franco Serblin, founder and director of Sonus Faber from 1983-2005, allude to their designer’s ongoing fascination with mini monitors. Even so they also have much in common with the floorstanding Ktêmas we reviewed earlier and which they resemble with their curved side and front panels and engineering technology. The new Serblin monitors are two-way designs permanently attached to dedicated stands containing the crossovers. The cabinets are made of solid wood decoupled with aluminium/magnesium layers for resonance control. The speaker uses two drive units: a new-to-market 29mm Ragnar Lion soft-dome tweeter; and the familiar but highly modified 150mm ScanSpeak Revelator mid/woofer. Its paper cone features the characteristic tangential slices leading from dust cap to edge. Mr. Serblin reportedly spent a particularly long time on phase optimizing his drivers starting with the crossover—most likely 1st-order but unspecified—through damping the bass-reflex port and finishing off with the unique cabinet shape. The fact that the port doesn't fire straight back but angles a bit sideways relative to the front baffle is no coincidence either. Listening sessions confirmed this particular aspect of playback. Additionally the woofer loading is such that the very clean and fast low registers behave much like in a sealed enclosure. 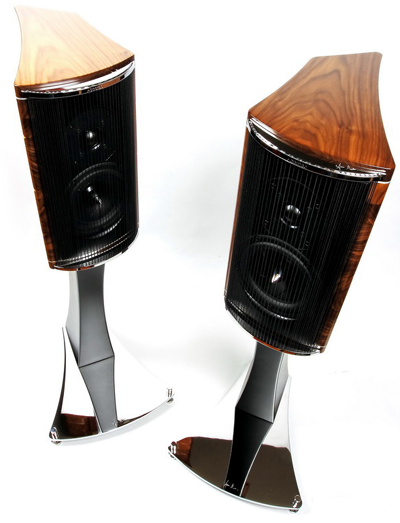 The speakers look out of this world and are completely unlike anything we’re familiar with. 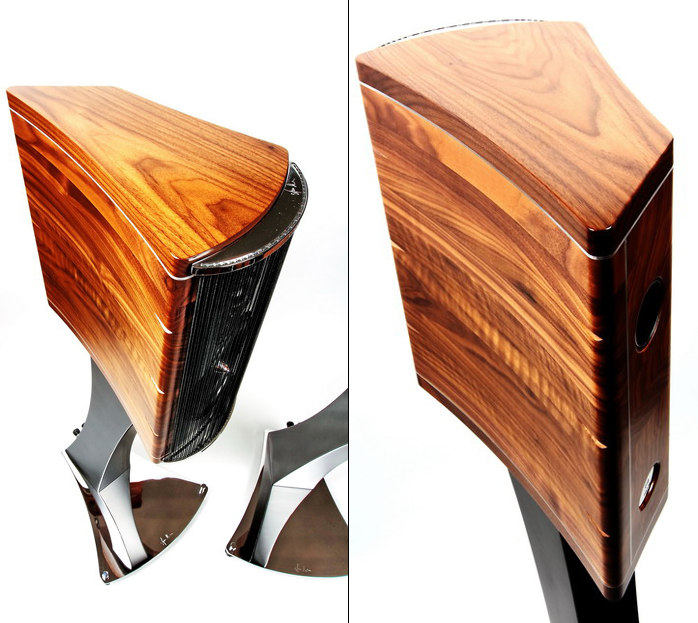 While the rubber strings of the front grills are a direct reference to Franco Serblin’s older designs and the large chrome-plated stands resemble the cabinets of both the Ktêmas and new Sonus Faber designs, the combination of these elements is innovative. It is so unusual however that you will decide whether it's kitsch or attractive. Sound. Recordings used during listening sessions: Beverly Kenney, Lonely And Blue, Cellar Door Records/Sinatra Society of Japan, XQAM-1022, CD (2007); Chet Baker, Chet Baker Sings and Plays, Pacific Jazz/EMI Music Japan, TOCJ-90028, HQCD (2008); David Sylvian, Sleepwalkers, P-Vine Records, PVCP-8790, CD (2011); Dvorák, Symphony No.8/Brahms, Symphony No. 8, Herbert von Karajan, Decca/Esoteric, ESSD-90036, SACD/CD (2008); Ella Fitzgerald, Clap Your Hands, Here Comes Charlie!, Verve/JVC, VICJ-011-4052, 2008, XRCD24 (1998); Falla, The Three Cornered Hat, Ansermet, Decca/Esoteric, ESSD-90016, SACD/CD (2008); Joe Pass, For Django, Pacific Jazz/EMI Music Japan, TOCJ-90027, HQCD (2008); Johnny Holiday, Blue Holiday, Contract Records/Sinatra Society of Japan, XQAM-1014, CD (2007); Julie London, Julie Is Her Name. Vol. 1, Liberty/EMI Music Japan, TOCJ-90014, HQCD (2008); Mike Oldfield, Incantations, Mercury/Universal Music LLC [Japan], UICY-91795, 2 x SHM-CD + DVD (2011); Nosowska, 8, Supersam Music, SM 01, CD (2011); Pat Metheny, What’s It All About, Nonesuch Records/Warner Music Japan, WPCR-14176, CD (2011); Paul McCartney, Kisses On The Bottom, Universal International [Japan], UCCO-3038, SHM-CD (2012); Ralf Illenberger, Red Rock Journeys, Stockfisch, SFR 357.1020.2, CD (2011); Sibelius, Symphony No. 1 & Karelia Suite, Maazel, Decca/Esoteric, ESSD-90020, SACD/CD (2008); The Beatles, Revolver, Apple/Parlophone/Toshiba-EMI, TOCP-51124, CD (2000); Vangelis, Spiral, RCA Records/BMG Japan, BVCM-34430, K2, SHM-CD (2011); W.A. Mozart, Piano Concertos No. 20 & No. 27, Clifford Curzon, Decca/Esoteric, ESSD-90014, SACD/CD (2008). Krakow Society Sonics - a false start. My encounter with the newest Franco Serblin offspring began with misdirection like a Hitchcock flick. The plan had been for first a listening session during one of our Krakow Sonic Society meetings followed by a formal review in my house. The KSS session was supposed to compare the Accordos to the Sonus Faber Guarnieri Homage and Electa Amator monitors since those are good indicators of what Mr. Serblin can deliver from small speakers. They were to be driven by the top Ancient Audio Silver Grand Mono power amplifier delivering 18wpc from two paralleled 300Bs, in this case the Japanese Takatsuki TA-300B. 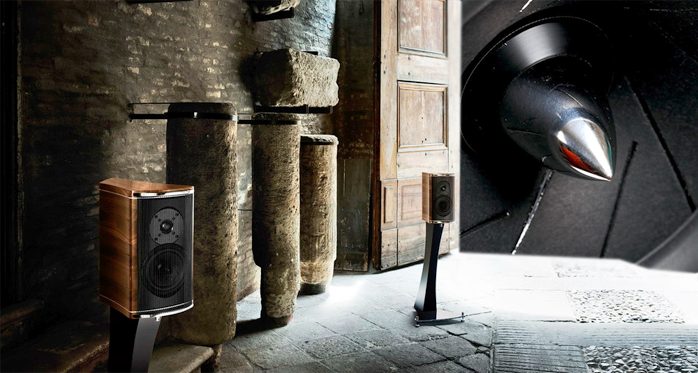 As rumor had it, the Accordo was designed with low-power systems in mind, specifically 300B amps. Hence the speakers’ efficiency and custom tweeter said to be particularly chosen for such applications. This was confirmed again by Mr. Serblin’s Polish distributor Grobel Audio: "The Accordos do not require a lot of current. They need 20 watts to be driven fully and will therefore make an excellent match for many tube amps of moderate power as well as solid-state amps, especially those working in pure class A. It should come as no surprise that Franco Serblin can perfectly take advantage of the first few watts essential for accurate reproduction of acoustic instruments which he so highly values."